My husband and I love to explore. Our weekly date night [we’re totally spoiled, I know] usually consists of going to a restaurant we’ve never visited. One of us picks the place [usually my husband] and keeps it a mystery from the other until we’ve arrived. As he drives us to our destination, I love taking in the various neighborhood flavors a large city has to offer. 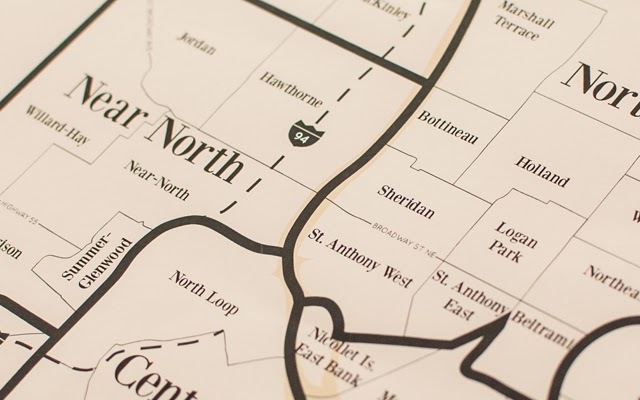 There is such diversity in culture, architecture, landscaping, and business offerings that driving through even familiar neighborhoods is a visual buffet. Being an organized type, I needed a way to categorize this input. Fortunately, there is a solution already in existence: maps! 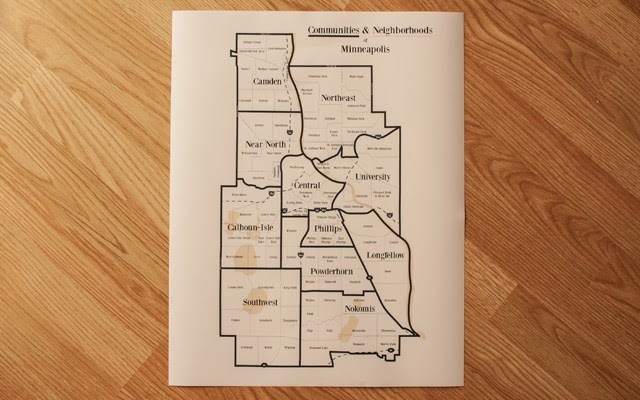 I just needed a nice-looking neighborhood map that we could display in our home and remember where we’ve been and see where we still need to go. And so this map was born. I’m still deciding how big I want it to be, and if I want to track our outings with pins or labeling the restaurants, but I’m really happy with the design result. Maybe I’ll add it to my Etsy store someday, but for now it’s just for us. That kinda makes me happy, too.